Our office staff and optometrist are qualified to provide vision care for your entire family. We encourage exams for children to help them perform well in school. If you’re planning your very first visit to our Paoli, PA optometrist, Dr. Marie Homa-Palladino, we want to make that first visit as simple, streamlined and unsurprising as possible for you. 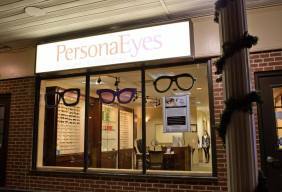 Here at Personal Eyes, we know how important proper eye care is. We are dedicated to providing the highest level of service so you can have the vision you deserve. At Personal Eyes, LLC, we strive to help our patients discover the best possible vision. Whether you are nearsighted, farsighted, have eye health conditions like macular degeneration or glaucoma, or have systemic conditions like hypertension or diabetes that could potentially affect your eyesight, we can assist you in effectively managing your conditions and achieving your vision goals. Our experienced team will begin your appointment by making you feel as comfortable as possible while we take your health history and perform easy, non-invasive tests. We use the newest, proven technology available, so you know that your test results are accurate. Our experienced optometrist will evaluate your vision and the health of your eyes with a variety of diagnostic tests, and will make a customized recommendation based on your individual history and the outcome of your tests. We use modern electronic records to keep your information secure. Our knowledgeable, friendly staff can help you choose visual aids like comfortable contact lenses and stylish eyeglasses that allow you to achieve optimal vision in the way you desire. No matter your vision or eye health needs, you can trust Personal Eyes, LLC to provide you with high quality service and care from the very moment you walk in the door. With our advanced technologies and expert staff, we are able to answer any questions you have about your vision or eye health and can provide treatment for a vast number of conditions. 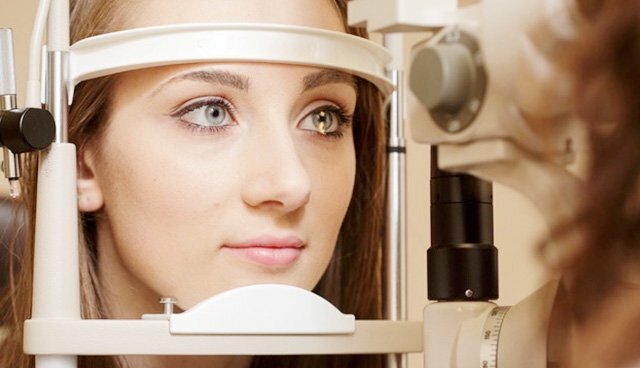 In the event that you have an eye condition that requires the assistance of a specialist, we will facilitate a consultation and remain in touch with your specialist in order to provide proper follow-up care. Marie Homa-Palladino, O.D. is a veteran optometrist with extensive experience in managing a variety of eye health and vision conditions for her valued patients. As a member of the American Optometric Association, Pennsylvania Optometric Association, International Academy of Orthokeratology and American Academy of Orthokeratology and Myopia Control, Dr. Homa-Palladino is well equipped to provide affordable, high quality vision care for patients of all ages. Contact us today to book your appointment. Get a full, personalized vision exam and take the first step to getting the best possible vision for you. Call now at (610) 647-2502 or schedule an appointment today online. Marie and staff are great. Went in with retina issues and she expedited me to surgeon to have laser surgery same day. Marie called back after a couple days to make sure everything went well! I came for the pun and keep coming back for the great service! I receive help picking out my glass frames (really appreciated due to my lack of style!) and a really friendly, comfortable experience with the eye exam. It's straightforward, thoughtful, thorough, and all around a pleasant experience. Highly recommended! Marie Paladino treats our family like her own. As a result if her care our daughter's vision has improved, she wears lenses at night and nothing during the day! We consistently get great service and appreciate the calm demeanor if all the office staff.